Client: London Borough of Waltham Forest. Description: New campus including a learning support centre, a reoriented play centre and a reorganised primary school. The catalyst for change in Chingford was complex. 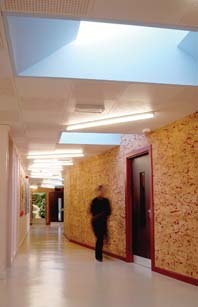 A 1960s primary school running at half capacity was earmarked by Waltham Forest as the site for a new Learning Support Centre. On appointment, SCABAL immediately identified the need for sensitive consultation and the careful balancing of the interests of a functioning primary school and the LEA’s need to develop new facilities. Our first task was to build a client team drawn from all parts of the local education community, including the LEA and its private sector partners, staff, governors and parents at the school. In an already fractured relationship this was far from easy. This led to the development of a consultation process, design strategy and campus plan designed to come up with a plan which allows for the adjacent institutions to develop independently, whilst benefiting from common ground. This campus idea includes a new learning support centre, accommodating a PRU, a Nurture Unit, Excluded Pupils Class bases and offices for the borough’s Peripatetic Behavioural Support Staff, a re-orientated Play Centre and a reorganised Primary School. Its inner landscape unites or separates users as required through sensitive planning in close consultation with those who will be occupying each of the distinct buildings. 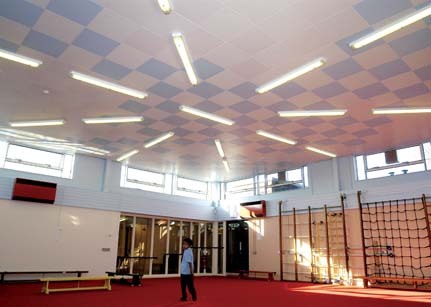 This project won the 2004 Waltham Forest design award for best conversion and is an illustrated case study in CABE’s ‘Being Involved in School Design; a guide for school communities, local authorities, funders and design and construction teams’.